"It is Christmas in the heart that puts Christmas in air". 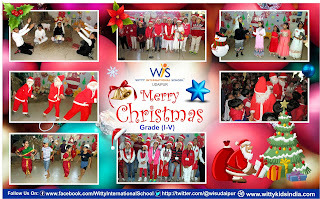 Witty International School, Udaipur celebrated the festival of Christmas with gaiety and fervour. Students of Grade-I to V participated, witnessed and enjoyed the assembly. The programme began with the school prayer which ensued with a skit that portrayed the glorious advent of Jesus Christ, on this earth about two millennia ago. The students rejoiced the birth of Christ by dancing on different songs. 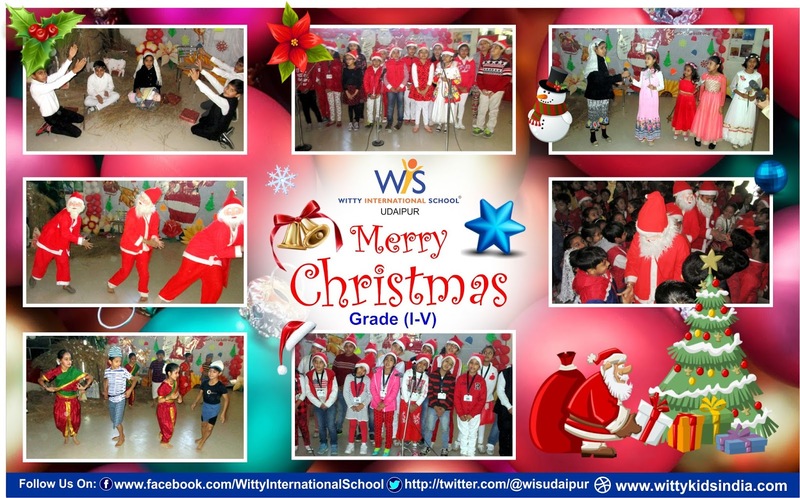 The assembly culminated with the "Jingle Bell" Carol where Santa Claus took up the charge of filling the entire crowd with joy and danced with everyone with great enthusiasm.